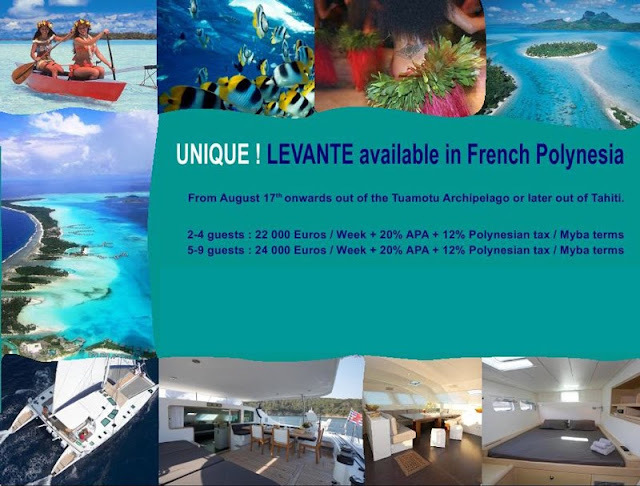 Enjoy the South Pacific with a yacht charter in French Polynesia aboard the catamaran LEVANTE. 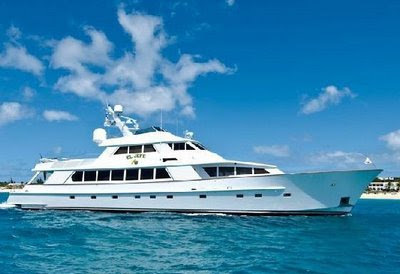 The first two charters booked now on EL JEFE receive the exceptional rate of $29,999/week, plus expenses (standard rate is $39,000 plus all expenses). Price applies to a maximum of 8 people in the charter party. Captains Rick and Karen Miles of the Expedition Steamer WANDERBIRD announce plans for a TRAMP STEAMER CRUISE to northern ports. The Wanderbird will be cruising south along the Coasts of GREENLAND, LABRADOR, NEWFOUNDLAND, CAPE BRETON ISLAND and NOVA SCOTIA in search of artifacts for the Northern Lights Gallery. 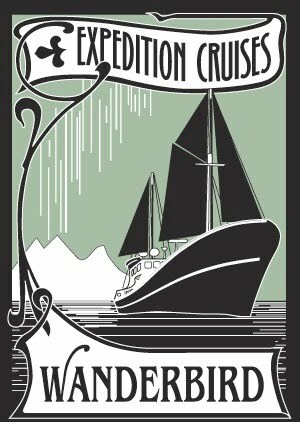 There are openings for guest crew for legs of this voyage. This cruise begins August 9th and runs through September 12, 2010. The minimum length of time for participation will be 6 days with a maximum of 29 days with a tariff of USD$200/day. Price will include 3 meals each day and a cabin as well as all of the sea training that you would like with no frills included. Called Phil, no problem. He has a charter for the weekend, but Thursday would be great. Hooked him up with the wife so they could discuss charter details such as meeting place and lunch arrangements. AFTER CHARTER COMMENTS: "Brian and the gang had a great time. Brian was thrilled and is talking about getting another sailboat. God help us!" For more information about chartering STORM PETREL this summer in New England, click here for a previous post. 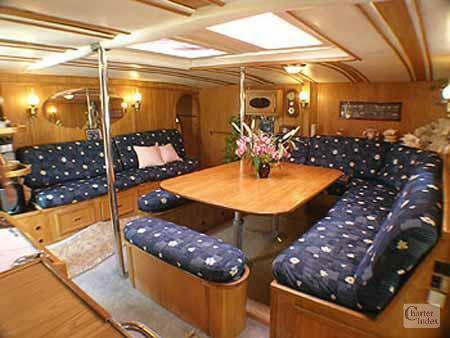 The charter motor yacht WISHING STAR, a gorgeous 84' classic Trumpy, has a great Autumn Cruise offer for 2-4 guests in October 2010. A true classic gentleman’s motor yacht, Wishing Star is exquisitely maintained with a handsome and impeccable interior. 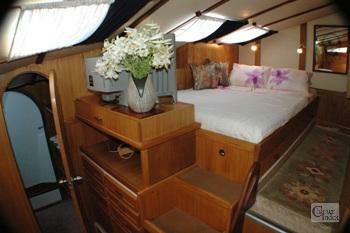 She is the ideal choice for those who appreciate traditional elegance afloat. In the first half of the twentieth century, society’s most prominent members knew that owning a Trumpy meant you had truly arrived. 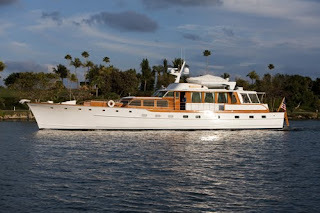 The DuPont, Guggenheim, Morgan, Dodge, and Chrysler families all had Trumpy yachts. Even the famous Sequoia, the official yacht of seven U.S. Presidents (from Roosevelt to Carter), was a Trumpy. 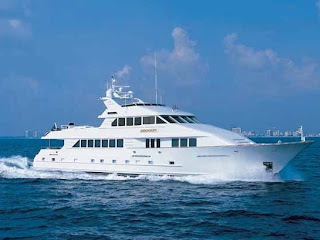 Wishing Star, an 84-foot Trumpy motoryacht, is fully air conditioned and accommodates up to six guests in 3 staterooms (one queen and two with lower twins), with an experienced and genuinely welcoming crew. Capt. 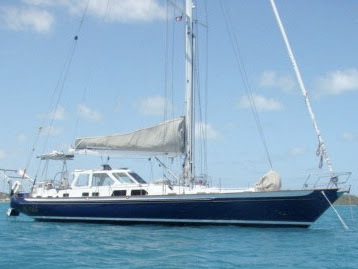 Fred Dillon and crew look forward to welcoming you on board Wishing Star! 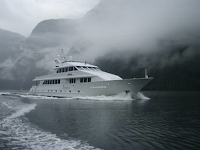 Charter yacht SHOGUN available for yacht charters in Alaska and the Pacific Northwest! Captain Mike Finnegan and his fabulous crew have years of experience in the “Final Frontier” and they will take you to some of the most spellbinding locations! The wildlife is unparalleled! There is plenty of whale & bear watching and for those who want a more aerobic experience you can hike, sea kayak and more. This spacious 122-foot Flagship motoryacht accommodates 8 guests in 4 King Staterooms. The on-deck Master Stateroom features a state of the art entertainment center with a 48” plasma TV, en-suite his-and-her bathrooms, marble countertops, and a large Jacuzzi tub with shower. Escape the summer heat... Get on the water and enjoy a sailing vacation in beautiful New England! Charter yacht BLUE WHALE, a 60-foot Cape Fear performance cruiser designed by David Pedrick, is based in Newport, Rhode Island for summer charters throughout New England. 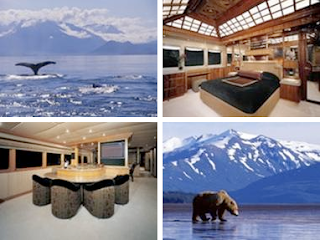 Blue Whale is fully air conditioned and accommodates 4 guests in 2 cabins, or a family party of 5. Blue Whale is available with Captain & Chef or with the lower priced option of Captain Only. 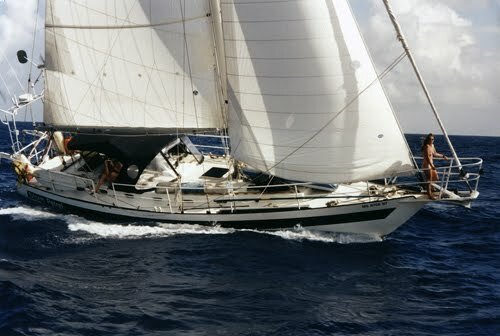 Charter Yacht MATELOT : Super South Pacific September Special ! TEN days for the price of SEVEN. 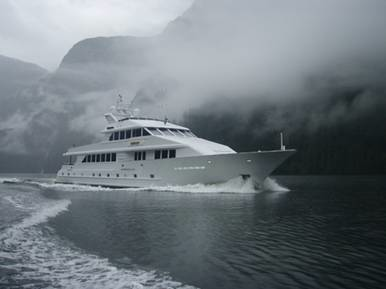 MATELOT is currently in the Society Islands and available for charter there or in the Tuamotus. Matelot is a beautiful Bruce Farr designed Nauta 80 Deck Saloon built by Southern Wind Shipyard offering luxury accommodations for 6 guests. A full width master stateroom forward offers walk around king-size bed, settee and vanity / desk, ensuite bath with stall shower. Just aft of the salon are two identical guest cabins each with ensuite head with stall shower and two lower single beds (not bunks). The crew quarters & galley are further aft with access through the aft cockpit. Ten nights for the price of seven! 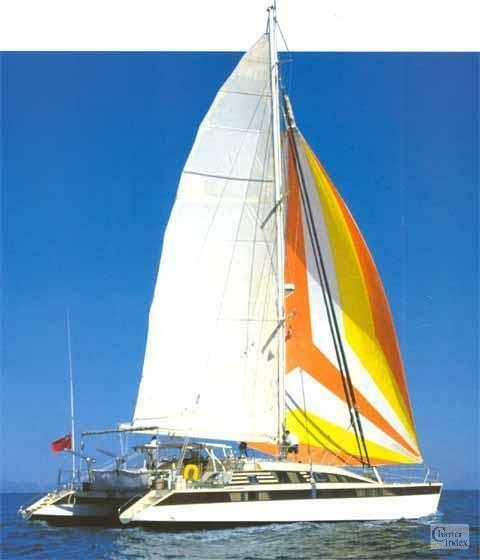 Based in Papeete Tahiti, Matelot is available for sailing vacations in the Society Islands or the Tuamotus. We are pleased to announce that we have added WANDERBIRD to our collection of charter yachts. 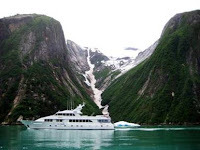 Come with Wanderbird on a sea adventure to explore the scenic coasts of Maine, Newfoundland, Labrador and Greenland (summer 2010 & 2011), the Caribbean (winter 2010-11), and Alaska (summer 2012) with your hosts Captains Rick and Karen. Share their dream of life on the sea on their renovated 90-foot Dutch fishing vessel, the WANDERBIRD. Wanderbird offers eco-tourism cruises that reflects their great reverence for the natural world and its creatures. You are invited to participate in informal education and interactive wildlife research projects. Join in photographing and logging the position of whales and seabirds; and listening to and recording whale songs! Wanderbird shares the wildlife information gathered with several conservation and research organizations. All of their projects are carried out with the well being of the wildlife and environment as their first and foremost consideration. A portion of Wanderbird's proceeds are donated to local animal shelters and wildlife rehabilitation facilities. Enjoy a comfortable, intimate setting (only 12 passengers per cruise) with beautiful yacht-style furnished cabins, homemade delicious food and pastries. Get away from it all and enjoy the splendor and serenity of nature with Wanderbird. Captains Rick & Karen would love to have you aboard. Wanderbird generally does individual cabin bookings for shared charter weeks, but there is the possibility of full-boat charters if it fits into their schedule... INQUIRE! 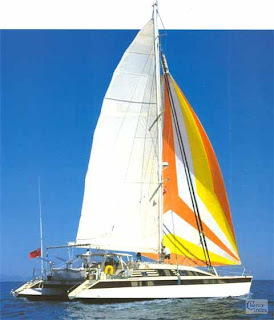 The charter catamaran Conan is fully air conditioned and accommodates up to 10 guests in 4 cabins, all with ensuite heads with showers. The two forward cabins are doubles, while the aft two guest cabins have doubles and a single. You can read guest comments at this online brochure. 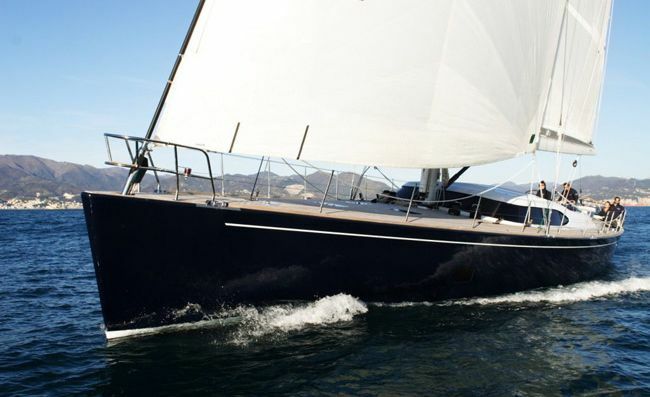 INCLUDED: All running expenses of the yacht, crew’s food and wages, breakfast and lunch, fuel for an average of 3 hours cruising per day, 3 hours generator fuel per day, ship’s laundry, free use of onboard watersports and recreational equipment. NOT INCLUDED: Evening meals when requested ($35 per person, per day), drinks, personal laundry, marina fees harbour dues and transit log in Turkish waters, all expenses out of Turkish waters, fuel for motor-operated equipment, land tours. Greece: 500 euros + Greek formalities.